My favorite books as teenager were, without a doubt, Philip Pullman’s inspired His Dark Materials trilogy of Northern Lights (The Golden Compass to American readers), The Subtle Knife, and The Amber Spyglass. In fact, the only reason I only failed to mention any of these as my top books in my recent staff introduction blog, is because I enjoyed them so much as an adult that I’d forgotten they were children’s books. But then Hollywood came along. In the process, my rose-tinted visions of the fantasy characters and thrilling escapades depicted in the books were shattered. The 2007 film was utterly void of any of the more controversial themes, and ruined by performances that were more wooden than a forest of Xiangshan ginkgos. But there have been many fantastic adaptations over the years. With the right vision, a book’s magic can leap seamlessly from the page to the big screen. So in keeping with the movie theme of our November issue, I’ve brought together my favorite movie versions of children’s books. As winter approaches, now’s a good time to stock up on some of these classic kids’ DVDs. I would also, of course, recommend looking into the original books of each as well. When impoverished Charlie Bucket wins a golden ticket to tour of the previously closed-off chocolate factory, he can but imagine the magical happenings behind the foreboding metal gates. This cult-classic brings Roald Dahl’s ever-lasting gobstoppers and Oompa-Loompas to glorious life, while Gene Wilder’s mesmeric performance as the title character and an unforgettable soundtrack make this a must-watch for kids of all ages. I am yet to see the 2005 version with Johnny Depp, though beijingkids’ Web Editor Nimo describes it as “lacking personality”. 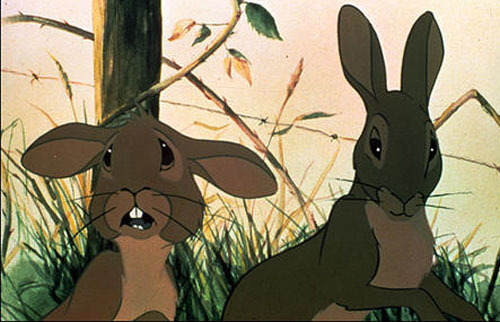 Watership Down (1978) Based on Richard Adams’ book of the same name, Watership Down was (along with Bambi and the Lion King) my first introduction to death, albeit with furry animated animals. But despite the dark themes and apocalyptic visions, this is a thrilling adaptation that sees a band of rabbits escape from killer dogs, shotgun-wielding farmers, and totalitarian rabbit societies. Although beautifully animated, the film is undoubtedly responsible for a number of life-long vegetarians. Suitable for ages 4+ (officially, at least). Some younger children may find certain scenes upsetting. 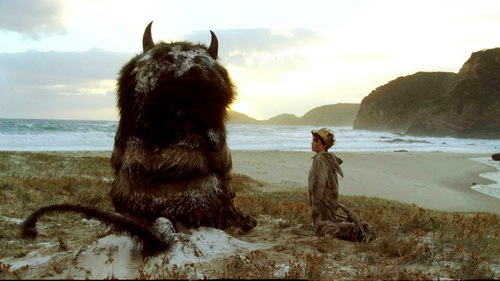 Where the Wild Things Are (2009) It took a while to get used to the 3D animations, but Spike Jonze’s adaptation brought back a lot of fond memories of the defining book of my younger years. He brings a new darkness to Maurice Sendak’s tale of 9-year-old Max who dons his wolf costume and embarks on an adventure to an island inhabited by monstrous Wild Things. Threatened with the risk of being eaten, Max instead convinces the beasts of his magic powers and they appoint him their king. The film version of Michael Ende’s German novel follows young Bastion’s adventures in the parallel world of Fantasia (Fantastica in the novel) which he enters, fittingly, through a magic book. Faced with a battle against a mysterious force called “The Nothing”, Bastion himself becomes a part of the book’s narrative and, with the help of an array of bizarre-looking mythical creatures, sets about rebuilding Fantasia with his imagination. The “never-ending” nature of the book meant that another two installments subsequently appeared. Now a staple part of the Christmas TV repertoire, Ron Howard’s interpretation of the Dr Seuss classic does justice to the characteristic absurdity of the book. It may have received somewhat mixed reviews from the critics, but the box office showed just how popular Jim Carrey’s portrayal of the neglected and sour Christmas-hater was with kids. It is the highest grossing Christmas film of all time according to Investopedia.